Shakespeare covers the full spectrum of communications. Shakespeare is the OEM supplier to leading radio manufacturers and your Commercial Off The Shelf (COTS) provider for tactical vehicular antenna solutions. Shakespeare fiberglass military antennas have won praises from U.S. and NATO military forces for exceptional durability and strong communications capability. 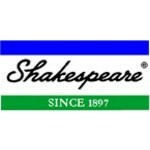 Shakespeare Company is ISO 9001-2000 certified.